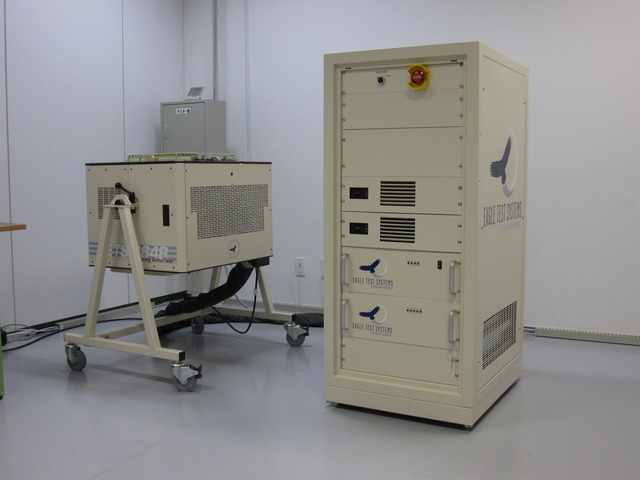 Testing Solutions - Solutions & Services | Shikino High-Tech Co., Ltd. Provide total support featuring everything from pattern design to component procurement, mounting and testing. Implement lead-free solder mounting in compliance with environmental directives (RoHS). Shikino High-Tech has acquired the ISO14001 certification. We have received orders from the leading domestic and overseas manufacturers and have amassed design achievements with all types of boards from single-sided analog circuit boards to large-scale multi-layered circuit boards. As well as surface mounting, our highly-skilled technicians promise you a high standard of quality with complex manual solder mounting. Specialized boards, IC socket jigs, etc. applications and conversion of testing equipment. Provide flexible onsite/offsite support in accordance with environmental considerations or customers' specific conditions and needs. We handle the processes indispensable for application development consistently, from creating and debugging tester programs to producing test boards.